Being told that you have a high risk pregnancy is not a reason to immediately panic. While it is a bit of a scary term, high risk essentially means that because you are carrying two babies, you need extra monitoring as a precaution. Most Mums that are expecting twins have a healthy pregnancy and give birth to healthy babies. While they are rare, there are some serious twin pregnancy complications that can arise. One of the more common complications is premature birth. This risk will mean that you will be offered more antenatal appointments than women who are carrying a single baby. The best way to stay on top of potential complications is to attend all of your required antenatal appointments. That way your doctor or midwife can monitor your pregnancy effectively and spot any complications early. Ask them to tell you about any symptoms you should look out for so that you can monitor your own pregnancy between appointments. Twin to Twin Transfusion Syndrome (TTTS) can affect identical twins who share a placenta (monochorionic twins). It occurs when the placental blood vessels that connect each twin are not balanced. That means that the blood does not flow evenly between the babies and one twin (the recipient) ends up with more blood than the other (the donor). Because of the uneven distribution of blood, the recipient twin can end up growing bigger than usual as they are receiving extra nutrients and fluid. That extra fluid can put a strain on the recipient’s heart and cause them to produce more urine. As a result, they will have more amniotic fluid around them than they need. The donor twin will grow too slowly and have a lack of amniotic fluid. TTTS can be fatal to both fetuses so ensure that you attend your regular scans for early detection. The majority of twins who share a placenta will grow normally. If TTTS is diagnosed then there are also treatments available. Preeclampsia is a condition that causes a reduced flow of blood through the placenta. It can be dangerous to your babies as they may not receive the oxygen and nutrients that they need to grow healthily, restricting their growth. You are most likely to develop the condition in the second half of your pregnancy, though it can occur earlier in some cases. Preeclampsia is hard to diagnose yourself as the two main symptoms are high blood pressure and protein in your urine. So it is usually discovered at a routine antenatal appointment. Tests for both symptoms will be done at all of your appointments, but you might also experience these symptoms – severe headaches or issues with your vision, pain below your ribs, nausea, vomiting, or sudden swelling of your face, hands or feet. Preeclampsia can range from mild to severe. Treatment would include monitoring of your blood pressure, administering medication and plenty of bed rest. Your maternity carer may even recommend an early birth by induction or cesarean. Most babies are born healthy even if the mother has preeclampsia, but it can mature into other more serious conditions. So it is best to monitor closely. Gestational diabetes affects how your body processes the hormone insulin, making your cells slightly more resistant to it. This increases the amount of sugar in your bloodstream which makes more nutrients available to your babies. If your glucose levels become too high then it is dangerous for both you and your baby. Gestational diabetes is more common in twin pregnancies. If you are diagnosed with it, then you have an increased chance of contracting other high risk twin pregnancy complications. However, if you manage the condition well you can still have a healthy pregnancy and give birth to healthy babies. Depending on the severity, it can be managed with diet and exercise, oral medication, or insulin injections. Often the condition will disappear after you give birth. It is important to have ongoing monitoring for yourself and your babies in the years after birth, as your babies will be at a higher risk of contracting diabetes later in life if you had gestational diabetes while pregnant. Pre-term labour is early or premature labour. It is a big concern in twin pregnancies because as many as 50% of twins are born prematurely. Lots of premature babies are born healthy, but there is a chance that there will be added complications if they are born too prematurely. Symptoms of premature labour can include contractions, bright red bleeding, puffiness or swelling of the hands and face, vaginal discharge, a feeling of pressure in your abdomen, or leaking fluids. If you have any concerns, contact your doctor or midwife. There is not one single thing that causes preterm labour. It can be a complication with the baby, an issue with the mother, an infection, or a number of other reasons. Because of this, there is little you can do to prevent it other than attending your medical appointments, keep hydrated and well rested, listen to your body, and don’t smoke or drink during your pregnancy. Intrauterine Growth Restriction (IUGR) is a condition where one or both twins don’t grow as well as they should. A baby with IUGR is generally much smaller than other babies of the same age. 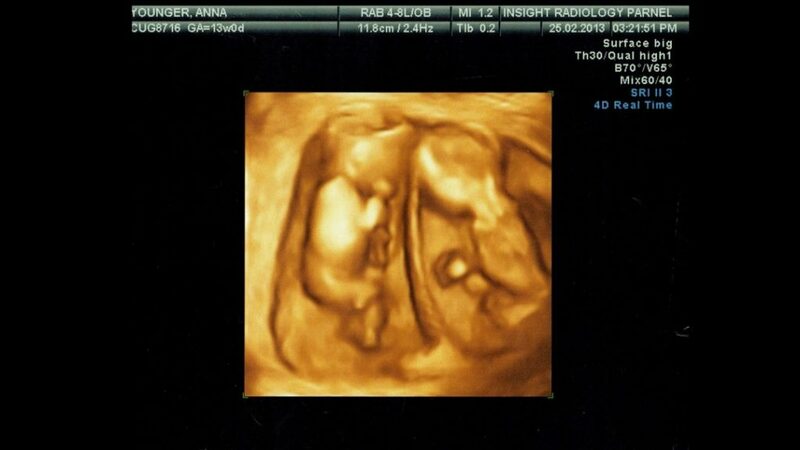 IUGR can affect up to 25% of twin pregnancies and pose a big risk to the babies. By attending regular check ups, your maternity carer can pick it up early and suggest a viable treatment so that the babies can still be born healthy. The condition can range from mild to severe with there being little effect to the babies, right through to fatality in extreme cases. If diagnosed with IUGR, your babies will be monitored by ultrasound on a weekly basis and treatment may be given too. You can monitor your babies by feeling for their movements. If you feel a sudden decrease in movement, then alert your doctor. There is no way to prevent IUGR from happening, but leading a healthy lifestyle will help. Morning sickness is quite common in the first trimester of any pregnancy. Despite the name, it can occur at any time of the day or night, but usually disappears around 16 weeks. But what is not common, is a severe form of morning sickness that causes you to vomit several times a day, lose weight and become dehydrated. This form can be harmful to you and your babies. Treatments for severe morning sickness can include a specified diet, administering fluids, supplements, or nutrients administered intravenously. 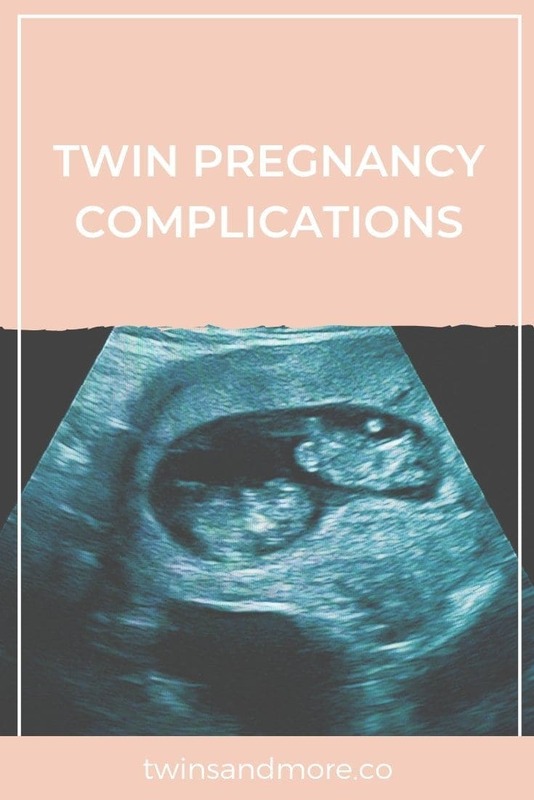 Not all twin pregnancies mean twin pregnancy complications. But it is good to be prepared with all of the information in case something does arise. Do all you can to look after yourself when you are pregnant and definitely keep up with your antenatal medical appointments. 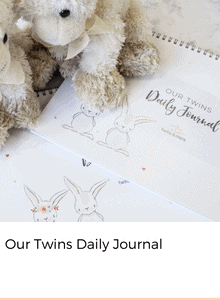 Further reading: Your Twin Pregnancy Care Plan – What can you expect?